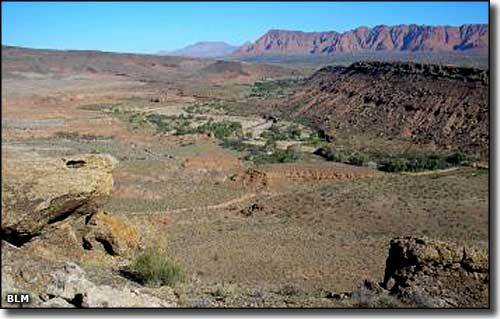 The Santa Clara River Reserve contains about 6,500 acres of BLM land southwest of the communities of Ivins and Santa Clara. 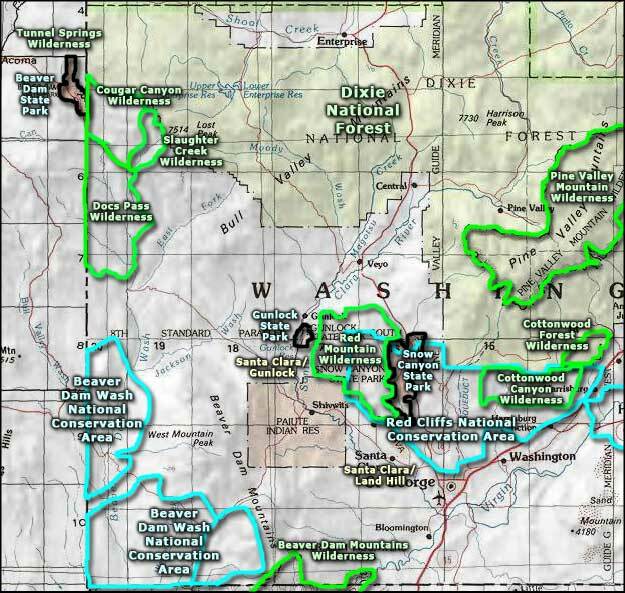 Contained within the Reserve are the 1,645 acres of the Santa Clara/Land Hill Area of Critical Environmental Concern, an area with essential riparian habitat and numerous prehistoric cultural sites. Protected on the property are plant species such as the Dwarf Bear Claw Poppy and Holmgren's Milkvetch (both on the threatened and endangered species list). 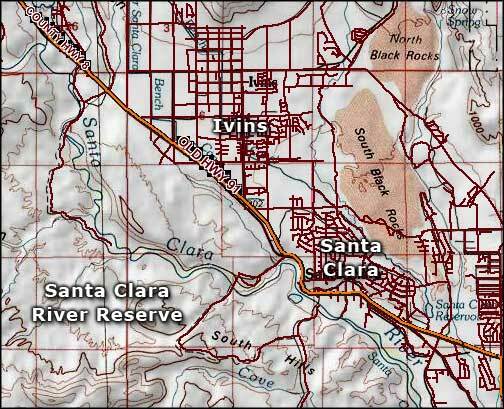 The cities of Santa Clara and Ivins partnered with the Bureau of Land Management back in 1997 to establish the Santa Clara River Reserve and protect the area from urban encroachment while providing needed open space, recreational opportunities and to preserve sensitive natural and archaeological resources. Together, these 3 entities developed a Recreation and Open Space Master Plan in 2005 to guide the management of the property, protect the resources and procure funding for the development of visitor facilities. On the Santa Clara/Land Hill ACEC, you'll find extensive prehistoric rock art sites, the remains of Southern Paiute structures and numerous Ancestral Puebloan sites. Along the river bottom you'll also find riparian habitat that supports the existence of the Virgin spinedace (fish), migratory birds and non-game birds and potentially living space for the endangered Southwestern willow flycatcher. In the past, there's been a problem here with motorized OHV's ripping up the countryside, paint ball activities, target shooting, illegal dumping of trash and archaeological looting and vandalism. Currently, there are quite a few hiking trails in the Santa Clara River Reserve. Many of them are along sandy washes in the area, leading past panels of prehistoric rock art and the sites of ancient human habitations. Several trails lead along the river and through the rich, cottonwood-shadowed riparian areas. Some trails just head across the open desert, through some beautiful, multi-colored desert landscape.